Microsoft has announced an Xbox One X console and Elite Wireless Controller available in white. You can pick them up as a part of the Xbox One X Robot White Special Edition Fallout 76 Bundle, which comes bundled with a full-game download of Fallout 76. That’s a good enough reason to get this. This gleaming white version is available for pre-order now at the Microsoft Store and GameStop in the US and around the world at select retailers. You can get the bundle for $500, and it will ship to retailers beginning on November 14th. 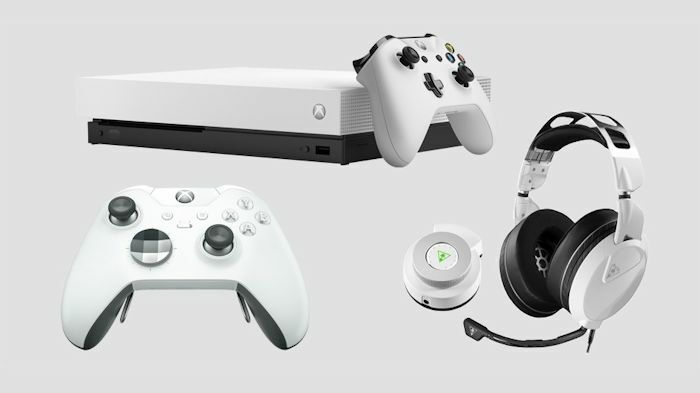 If you absolutely need this in your life and who wouldn’t want a white version of the Xbox Wireless Elite Controller?, you can pre-order it at the Microsoft Store and GameStop. It will cost you back $150 and will ship to retailers starting on October 16th. Microsoft has also announced a successor to Turtle Beach’s Elite Pro headset. The Turtle Beach Elite Pro 2 + SumerAmp Pro Performance Gaming Audio System for Xbox One is fully customizable. It will cost you $249 in the US beginning on September 16th and will be available in Europe on October 8th. It will go well with your shiny new white console, so go ahead and get both.